Yesterday Euro reached its intermediate target. Considering that right now market is consolidating, I opened new buy order with target at the next group of fibo‑levels at 1.3760 ‑ 1.3750. After price breaks maximum, I’ll move stop loss to the level where sell order was opened. 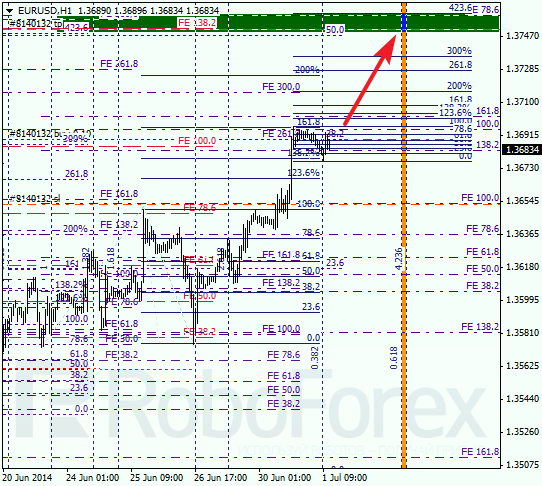 As we can see at H1 chart, upper targets are confirmed by several additional fibo-levels. According to temporary fibo-zones, predicted targets may be reached by Thursday. Yesterday my take profit worked. 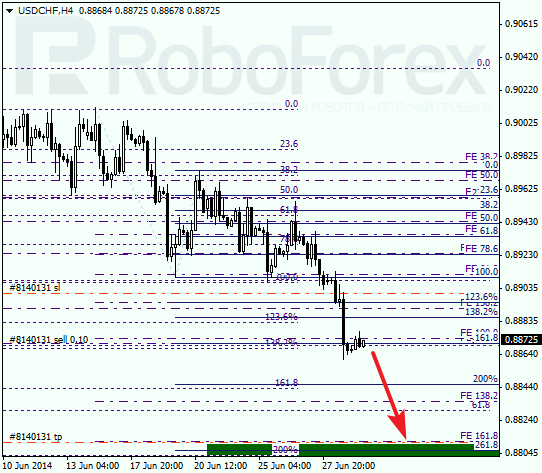 During correction, I opened another sell order with target at closest group of fibo-levels at 0.8815 ‑ 0.8805. Possibly, if pair rebounds from these levels, price may start new correction. As we can see at H1 chart, lower targets are confirmed by local fibo-levels. According to analysis of temporary fibo-zones, predicted target area may be reached by Wednesday evening or Thursday morning. Later, price may start new correction.